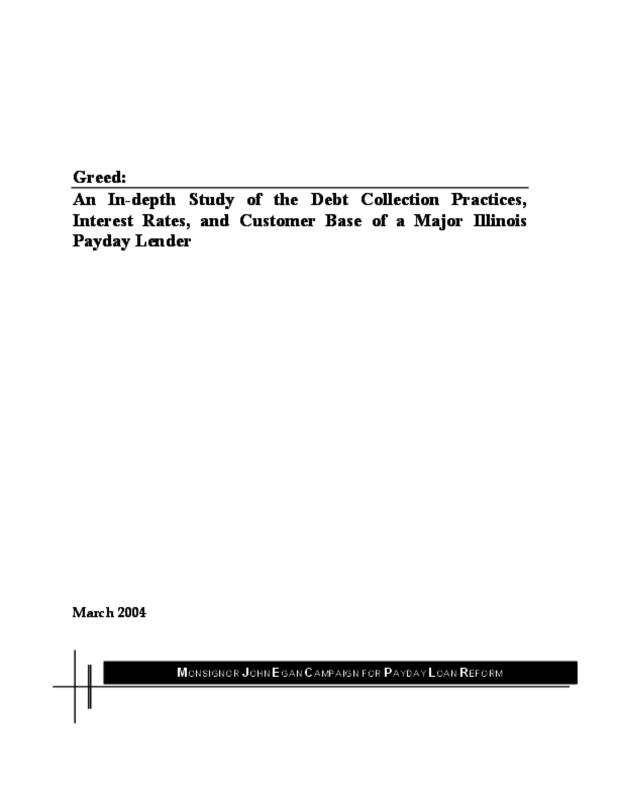 This report uses public court files to document the loan terms, conditions, and litigation tactics of one of the largest payday lenders in Illinois. The findings are based on a sample of 444 debt collection cases filed against payday loan customers. Copyright 2004 Woodstock Institute. All rights reserved.